You might never have found it own your own, so you're welcome! 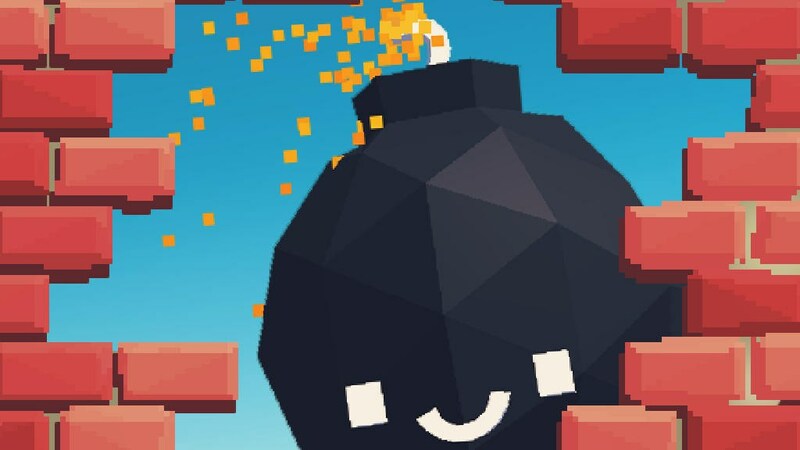 Smashy Brick doesn't exactly sound like an interesting game at first blush, but it's just what you need if you're looking for something quick, fun, and addictive to keep on your mobile device. And aren't we all looking for that one special, perfect game? Basically, Smashy Brick (sounds a lot like Crossy Road, doesn't it?) is inspired by the classic game of Arkanoid or Breakout. You've got to draw your own "paddle," however, that you bounce the on-screen ball against. It acts as a small trampoline that you need to ensure you're keeping up while also using the different characters' abilities to your advantage. They're absolutely adorable, including a little bomb (seen in the image on Modojo's main page) that blows up part of the board, or a cactus that can shoot off various spikes. Much like the characters of Peggle, they can help in several different ways. They're also impossibly cute. And that's probably the most important part of all this. Check out Smashy Brick for a slice of something a little different. Just don't be surprised if you play a little longer than you meant to.